Free Rap Music from The Notorious B.I.G aka Biggie. 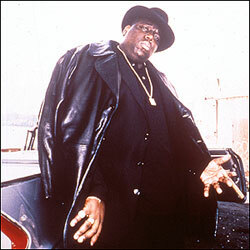 He kicked in the door waving the 4-4 and made sure everyone knew Big Poppa in the rap game. Biggie's rhymes lit up heads on the street with style and a feeling found in one living the good life. The Notorious B.I.G's 1994 debut album "Ready to Die", let the world know how he felt growing up in Brooklyn, New York. The anger he felt from the poverty in his life and surroundings was finally put on wax. 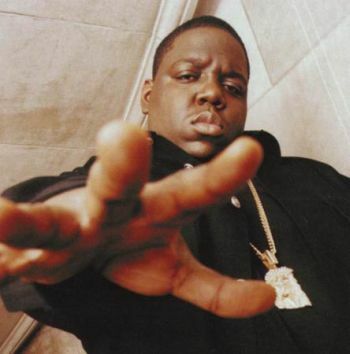 B.I.G's rap style blew up like land mines on the charts. The flavor that was being kicked from uptown took the world by storm. Bottles started popping at the parties and people began to feel the vibe Biggie kicked. Everyone wanted one more chance to hear fresh lyrics from this mic bomber. When his career began taking flight he was taken from us on March 9, 1997 in California due to gun violence. This New York emcee was just getting started to let the world know about his creative ability. 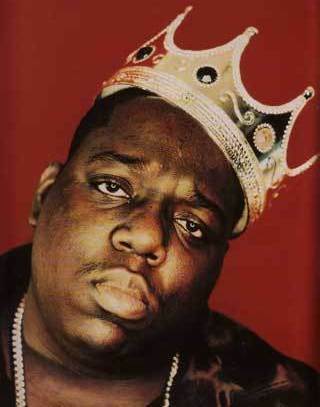 The Notorious B.I.G is considered to be the best lyricist of all time. He made us party and forget about the rough times in our present lives. B.I.G will be remembered in hoods all over the world, R.I.P. Warning Musicjox has the juicy everyday struggle brought to you from one of our fallen poets! Sit back and listen to hip hop music. Enjoy free rap music from Frank White and be hypnotized by his rhymes!